2016 was a special year for horror. One of the highlights from last year was Lights Out, the feature length debut from director David F. Sandberg. 2017 has also been a pretty solid year for horror. We can now add David F. Sandberg’s latest film, Annabelle: Creation, to the list of highlights for 2017. With two well-received horror films under his belt, Sandberg is quickly making a name for himself in the genre. Considering he also just pulled off a prequel to a prequel, the man is already a rockstar in my book. Annabelle: Creation serves as the precursor to 2014’s Annabelle, where we learn the origin of the evil that lurks within a priceless doll. The film follows Sister Charlotte and her group of foster girls, who move into the house of a dollmaker and his wife who seem to have a dark past. Annabelle: Creation not only adds to the mythology of the Conjuring-verse, but is also a chilling film that keeps the scares coming from start to finish. Annabelle: Creation improves on its predecessor in many ways, the first of which being the overall quality of the movie. You can tell that this wasn’t just made for the money. 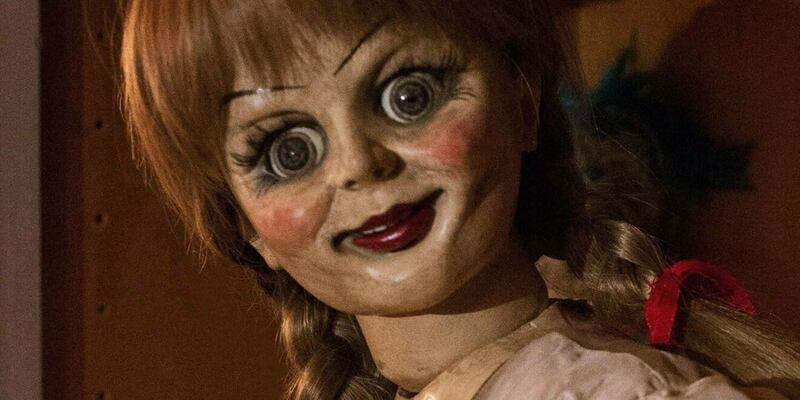 The creative team felt there was a story to tell and took their time with it (by comparison, Annabelle was released just a year after The Conjuring to capitalize on the surprise success). Bringing in a talented director like Sandberg was a huge plus for this film. One of the problems with Annabelle was how uneven it was. It never really settled into itself. Annabelle: Creation sets the tone from the beginning. It knows exactly what story it is telling and what tone it should be told in. Annabelle: Creation also does a fantastic job filling in some of the holes in the mythology that were left by the first film. This improvement is a result of a better script than the original. I’m not saying it was Sorkin-level brilliance – this film isn’t perfect – but it goes far beyond what we saw in Annabelle. Another area where Annabelle: Creation took small steps forward was with characters. Annabelle suffered from having characters we weren’t invested in, knew nothing about, and were as vanilla as can be. This film, like The Conjuring films, has too many kids, leaving some of them with nothing to do. I forgot the characters Kate and Tierney were in the film half of the time! In fact, I just had to look up their names because they were so unremarkable. But, we also get some great performances from Tabitha Bateman and rising Scream-Queen Lulu Wilson (star of another fantastic horror prequel, Ouija: Origin of Evil). Stephanie Sigman also shone in the second half of this film. Without spoiling anything, I will say that the way they used the characters to tie everything together between Annabelle and The Conjuring is brilliant. I have already praised David F. Sandberg plenty in this review but, it is so hard not to again. His particular talents come out when examining how scary this film is. As we saw in Lights Out, Sandberg really knows how to build a scene and frame his scares. He uses the whole space of this gigantic house and the lighting to make for some really cool scenes. We also experience some similar techniques to those used in The Conjuring 2, which I was glad to see. Annabelle: Creation, while not quite on the level of The Conjuring 2, is more on par visually with the rest of the Conjuring-verse than Annabelle. Not only were the quality of the scares high, the volume of scares was similarly plentiful. By the third act of the film, every scene was a new scare-piece. They were relentless but not overbearing. This film has a great build up and superb pacing. Annabelle: Creation isn’t perfect by any means. There are still some flaws here and there, but it’s impressive that this film is as good as it is given its topic. Most of the problems here arise from the logic and decisions of characters. Characters keep going places they’re not supposed to and not telling people certain things. Behaviors like these often hinder the storytelling of a horror film but, in the case of Annabelle: Creation, you’re so invested with the characters and having too much fun being scared to notice. I think this movie is also a little melodramatic at times. It tries to lean too hard into your emotions to get you to feel for the characters. This made the beginning feel a bit rushed because we’re given too much background information too quickly. Again, these are minor complaints that didn’t really bog down my enjoyment of the film. Overall, Annabelle: Creation is a unicorn in the world of horror. I’m learning that The Conjuring franchise doesn’t frustrate me like others do. They are taking their time and building off of interesting mythology. James Wan and company also seem to learn from their mistakes and take the time to fix them. Annabelle: Creation is a very worthy addition to the franchise, adding layers to an already chilling mythology. Sandberg delivers a fun horror experience that I can’t wait to go rewatch to find more of the Easter Eggs I missed. Go see this on the big screen. It was an absolute blast to watch with a full theater! Annabelle Annabelle: Creation Anthony LaPaglia Conjuring-verse David F. Sandberg Horror James Wan Lights Out Lulu Wilson Miranda Otto New Line Stephanie Sigman Talitha Bateman The Conjuring Warner Bros.